Highly versatile and easily paired with both neutrals and more vibrant hues, Marsala evokes a sense of rootedness and understated elegance while encouraging creative experimentation. Anticipating the trend towards richer, more saturated color, Surya’s product development team has artfully translated the inviting hue and coordinating tonals into a diverse mix of solids, stripes, florals and geometric patterns well-suited for any living environment. Winter market attendees are invited to visit a Surya showroom, where an assortment of rugs, pillows, lighting, wall decor and other home accessories in Marsala and complementary hues will be thoughtfully displayed along with hundreds of other products across a broad range of styles and price points. 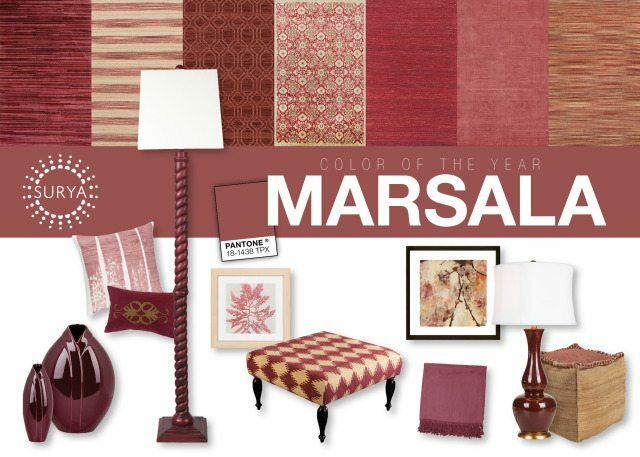 Las Vegas – Jan. 18-22; WMC C400; 8 a.m. to 8 p.m. dailyAccess Surya’s Marsala Pinterest Board, which has more than 4,700 followers. View Surya Products in Marsala. Surya is the premier one-stop source for coordinating home accessories for a broad range of lifestyles and budgets. 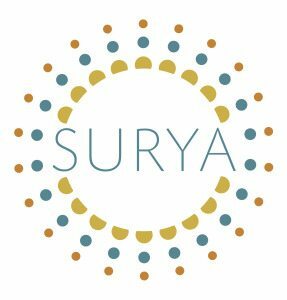 An expert at translating the latest apparel and interior design trends, Surya artfully combines color, pattern and texture to offer more than 30,000 fashion forward products, including rugs, pillows, throws, wall decor, accent furniture, lighting, decorative accents and bedding. The brand also provides innovative display, merchandising and training solutions to support retailers in successfully promoting and selling home accessories. Surya currently exhibits in Atlanta, Dallas, Chicago, High Point, Las Vegas, New Delhi and Toronto. To learn more, visit www.surya.com.